There is no overall winner. This is the first thing you have to get used to when you judge Fiction Uncovered, one of the most interesting promotions for fiction to emerge in the UK in recent years. Dozens of novels are entered by their publishers each year, all by writers who are neither debutants nor huge award winners, writers who have often produced several excellent works of fiction but not yet been given the full recognition they deserve – i.e., the most interesting category of writers working today. In a literary culture that has several major books prizes usually won by established names and a plethora of awards for first-timers, Fiction Uncovered is the first award that has made a serious attempt to plug the yawning gap in between. To qualify, entrants must have published a book within a given year, to have already published at least one work of fiction (graphic novels and short story collections count) and yet not to have already won one of the major awards. There are eight winners, and no cash prize. Instead, the chosen titles are promoted in the press and in bookshops, and given that little extra shove into the limelight they deserve. My fellow judges this year were Sandeep Mahal from the Reading Agency, Lynne Hatwell, aka top book blogger dovegreyreader and the novelist Courttia Newland. We were all, in our own ways, very experienced readers and critics but we were also used to the winner-takes-all approach of our literary culture. In 2008, I had been a judge on the Man Booker Prize, which is a process of anointing one novelist with a huge piece of lottery-style good fortune. Fiction Uncovered is very different and it was with no small degree of joy that we realized that being able to choose eight titles was a huge luxury. It meant there was little of the horse-trading necessary with a big single prize, where someone’s favorite is someone else’s unfavorite and a book neither loves but both can bear ends up winning. Instead, we had the gift of variety. Our choices ranged from intense and lyrical: Amy Sackville’s Orkney, a tale of a husband’s obsession with his elusive young wife set on a Scottish island. We had three wide-ranging third novels: All the Beggars Riding by Lucy Caldwell, How I Killed Margaret Thatcher by Antony Cartwright and Black Bread White Beer by Niven Govinden, each of which covered family issues in their own way; the nature of storytelling from the child of the mistress of a married man; a coming of age story set during the Thatcher era and the effect of an early miscarriage upon a young husband. Nikita Lalwani’s The Village is her second novel and takes place in the unusual setting of a model prison in India, where murderers of all sorts learn to become self-supporting. Another affecting and unusual tale came from Nell Leyshon with The Colour of Milk, about a farm girl in the nineteenth century. The two most well-known names on our list are Rupert Thomson and James Meek. Thomson is the author of eight novels and his new one, Secrecy, is a gripping historical thriller. Meek was shortlisted for the Costa Novel Award for The Heart Broke In and has sold in thirty languages – we did have a discussion over whether he was too established already, but although he is highly regarded in the UK, he’s not quite the name that comes to everyone’s lips in the way that Ian McEwan or John Irving does – and it’s really time he did. That’s probably our greatest ambition for this list. All of these writers are going to go on to have sustained careers, something much harder than it seems in the current climate but here’s hoping they get even more recognition as they go from strength to strength. Critics note, you can download review copies of many of the aforementioned titles from NetGalley. 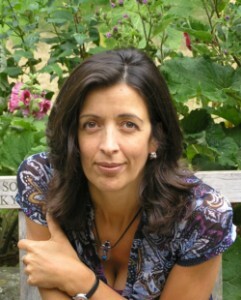 Louise Doughty was Chair of Judges of this year’s Fiction Uncovered panel. Her new novel, Apple Tree Yard will be published by Faber & Faber UK in June 2013 and with Farrar, Strauss & Giroux in the US in Jan 2014. It has currently sold in eight languages.